← Candy Corn M&M’s! Now Collect All Six! 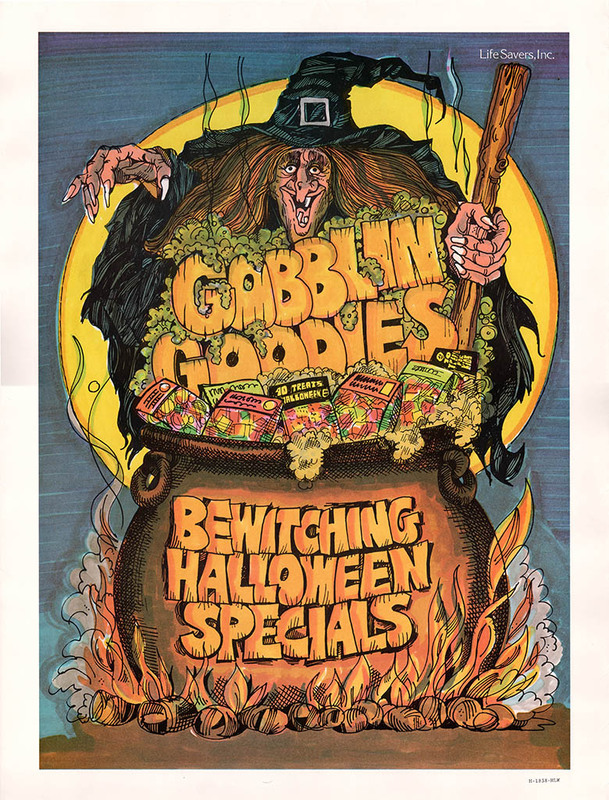 Lifesavers’ Gobblin Goodies – In-Store Halloween Posters of the 1970’s! 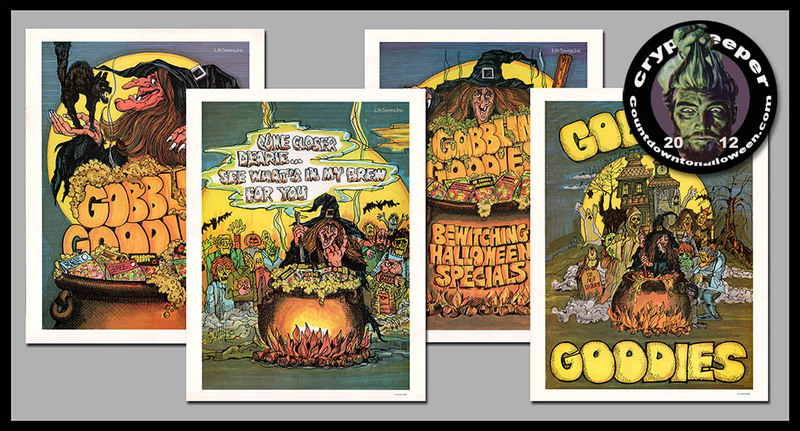 For one Halloween season in the late 1970’s, the Lifesavers company released a series of point-of-purchase Halloween posters for in-store promotion. 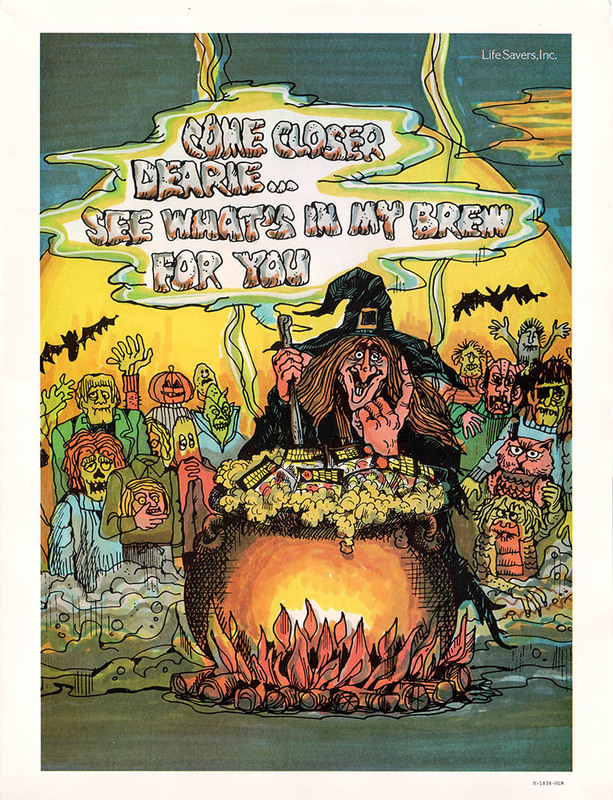 Each one was illustrated with a spooky witch and reminding customers of the Halloween offerings to be had. I have four of these in my collection and today I’d like to share them. 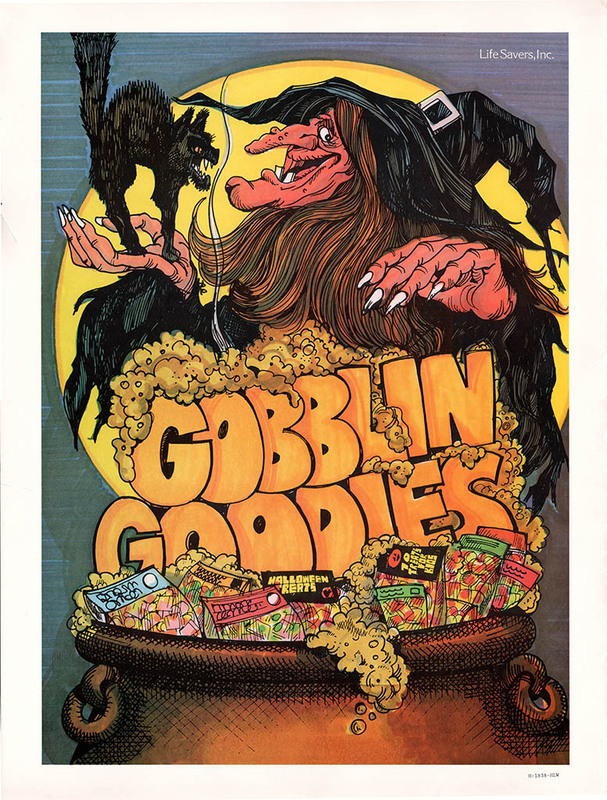 Though produced by Lifesavers, these posters were not Lifesavers product-specific, so they could have been used to promote a general Halloween candy area. My guess is that these were used as an ordering incentive or reward for retailers. Whatever the case, I’ve always thought the artwork was particularly fun and very Halloween. I wonder if I ever encountered any of these in the days of my youth? I suspect I probably did, though I don’t have any recollection of them. If anyone remembers these or by chance knows who the original artist was, let me know. And that’s everything for today’s Halloween-related post. See you next time! 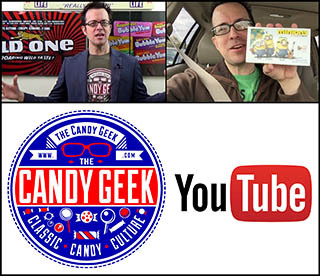 Today’s post has been part of CollectingCandy.com’s Countdown to Halloween. To check out other sites celebrating Halloween all month long, check out the official Halloween Countdown site. This entry was posted in 1970's, CountdownToHalloween, Halloween and tagged 1970's candy, 70's candy, candy collecting, candy collection, candy collector, candy wrapper collection, candy wrapper collector, collectible, collecting candy, confectionery, confections, Halloween, Halloween candy, Life Savers, Lifesavers, packaging, sweets, vintage candy wrapper, wrapper. Bookmark the permalink. 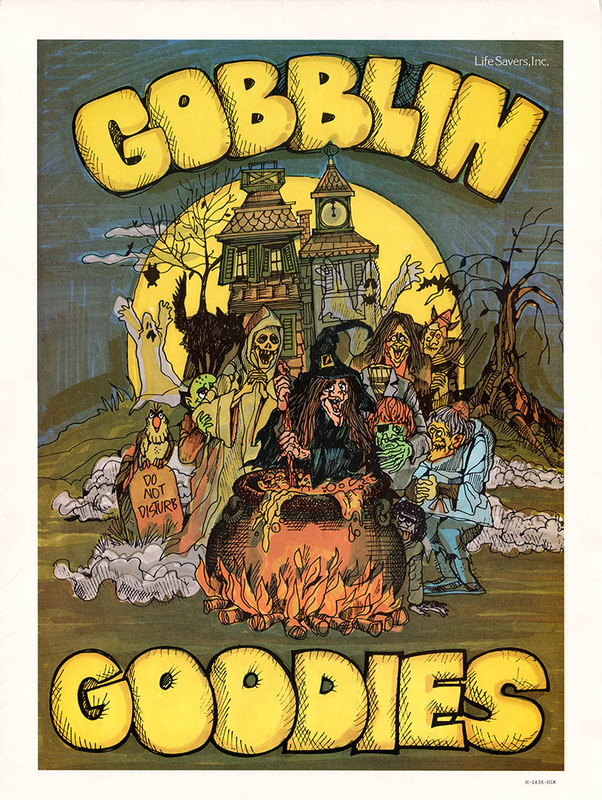 2 Responses to Lifesavers’ Gobblin Goodies – In-Store Halloween Posters of the 1970’s! They seem somewhat familiar to me… which either means I have a faint memory of seeing them or that ’70s art style (what do you call it? wavy?) makes me think I’ve seen them.